Not your grandmother’s lace yarn! Alfar is a versatile superwash laceweight 2-ply with a slight twist to show off your stitches. 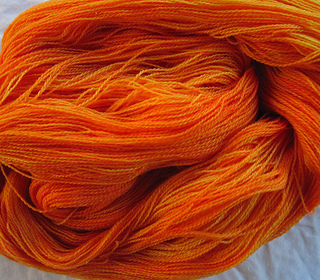 While delicate and light, it stands up to knitting, frogging, and aggressive blocking. Though you can machine wash it, we recommend hand-washing any lace items to preserve the stitch work. Alfar has a new put-up! Yardage has increased from 875 to 931 yards per skein. All new skeins will have this yardage. Check your label to see if you have an old or new skein.